DJ Xris SMack! at Michael Alig's OUTRAGE party! 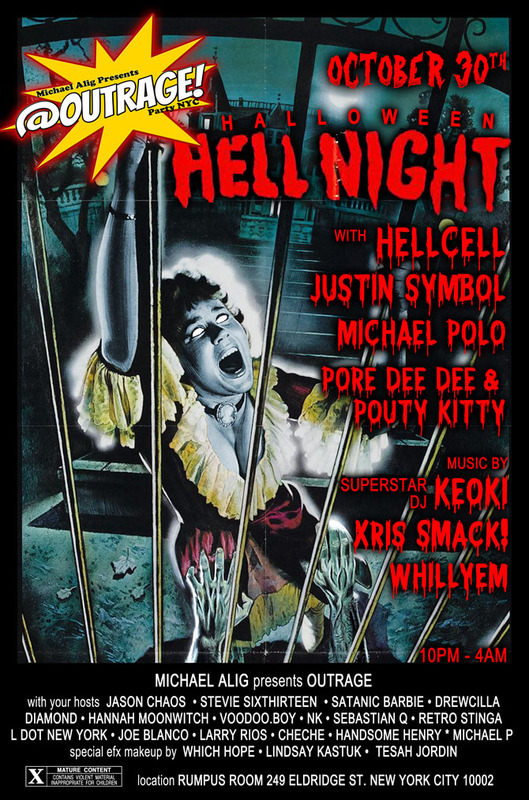 :Bloodbath, disco bloodbath, DJ Keoki, Halloween, Hell Cell, Industrial, James St. James, Lucien Lightbringer, Micahel Alig, Party Monster, Techno, Xris SMack!